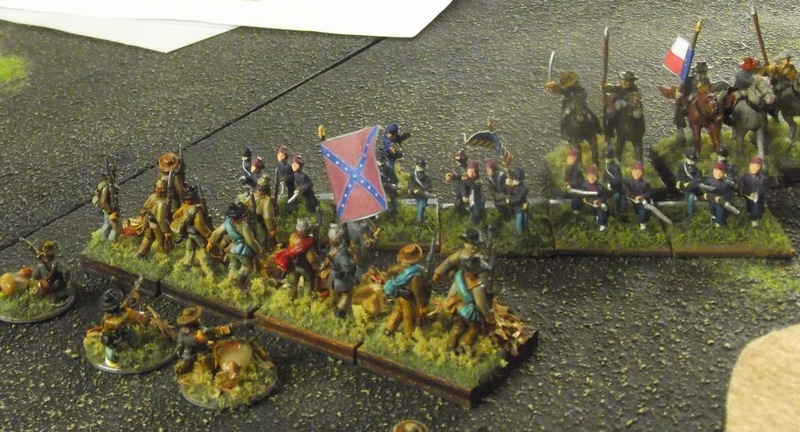 Myself and Adam had our third game in our American Civil War campaign last Thursday, it was the best game of Longstreet I have had yet (probably because I am starting to understand the rules). Adam has posted an action report on his blog with plenty of photos. Have a look. This time we played Scenario 1, "Outflanking" from the book, I again had the advantage in choice, so I picked being the attacker. It was an interesting scenario in that terrain placement was going to be obviously important as well as the need to be quickly advance the troops. 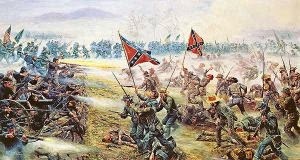 I placed the majority of my troops on my right flank, with a small force to my left just to keep the CSA distracted. They were all placed in column so to rapidly advance. 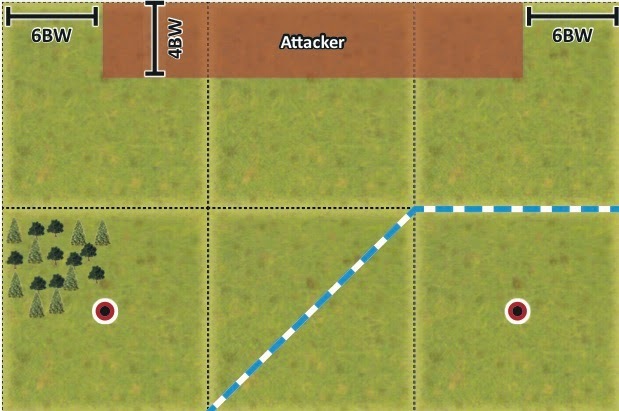 As you can see from the photo below, I was pretty successful in moving the troops on my right to the objective which I captured with relative ease. The objective is the large command base in the left foreground. ................and causing this unit to break and me losing the game. My troops were heroic though and we gained a lot of Epic points and in the post game process I actually gained 3 more points just pushing me 1 point ahead of Adam in the campaign. In the campaign we are now entering 1863 and the north is now starting to gear up their industrial might and manpower advantage. I am really enjoying this campaign and ruleset and the great news is that Fernando has now received my Blue Moon miniatures and has started painting. Hopefully I will see my own ACW miniatures within a couple of months. 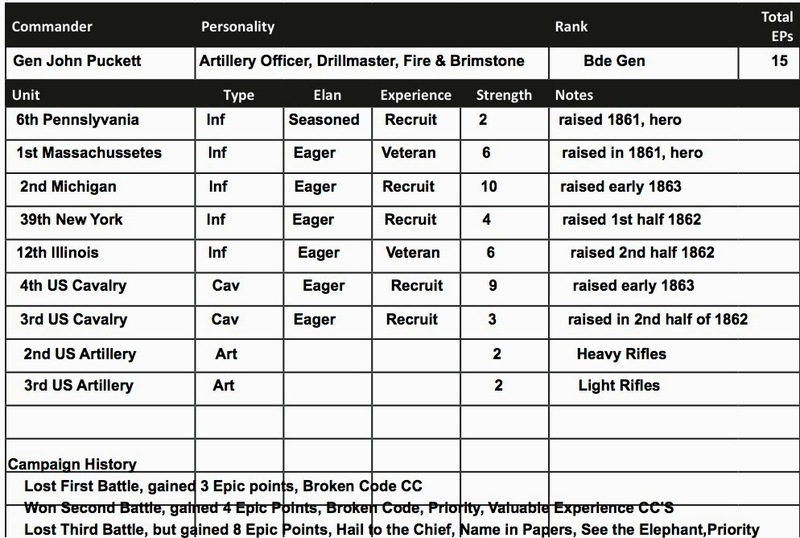 Anyway for the next battle I have added a large US cavalry regiment, which I hope I will be able to counter the rebel riders.